The only thing that could be better than one of Homecrest’s “Butterfly Baskets” is two of them! This is just what you will find in the Havenhill Dual Motion Loveseat. This unique rocking loveseat allows two people to be altogether cozy and completely comfortable; the dual “baskets” allow each person to rock independently. 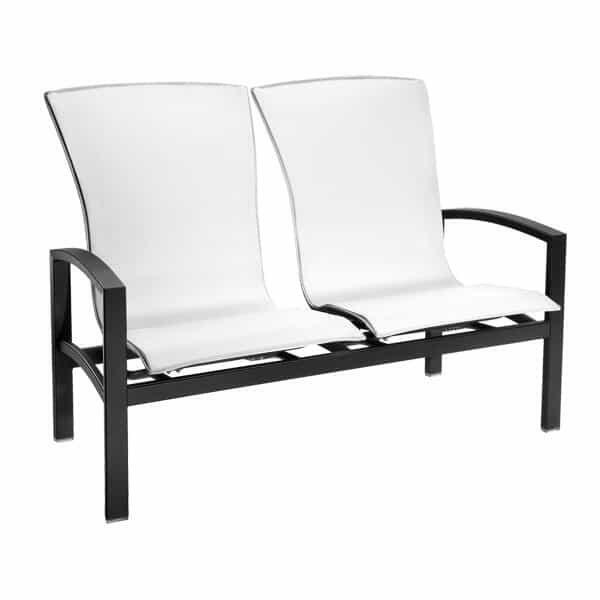 Crafted from heavyweight extruded aluminum, the Havenhill Dual Motion Loveseat is finished with a baked on powder coating, resulting in a heavy-duty piece of patio furniture that is well suited to any climate or venue. Customize this amazing loveseat with your choice of Homecrest’s fine finishes and wide array of designer outdoor fabrics. A perfect mate for any of the Havenhill Collection, the Havenhill Dual Motion Loveseat can stand also alone as its own unique piece.